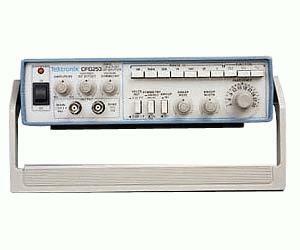 CFG253 Function generators produce sine, square and triangle waves and TTL signals for testing amplifiers, filters and digital circuits. Sweep function can be controlled internally or with an external signal. Duty cycle, DC offset, sweep rate, sweep width and amplitude are all operator controlled. The CFG253 has output bandwidth of 0.03 Hz to 3 MHz.